Caton: Welcome to another edition of YPN News. 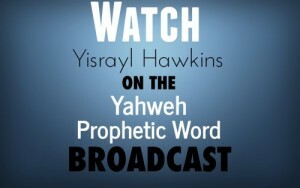 Bringing you news as it relates to Bible Prophecy and foretold by Yisrayl Hawkins. Well we have China’s strategic plans for the future, something that they’ve actually been at for a very long time. And they definitely look long term. Tough words between Russia and the United States both those ambassadors speaking at the UN recently and President Trumps announcement regarding the US launching airstrikes on Syria in the wake of what is being said of Syria’s use of chemical weapons yet once again. Jeff: Very interesting that something they had thousands of years ago still using it today and certainly seems very effective. Continuing in China. Being the world’s second largest oil consumer importing 381 million tons of crude oil in 2016 alone. There are already two benchmarks for oil futures in the U.S. and the U.K. China’s capital market is more open for foreign investors. Analyst say that crude oil futures would be very attractive to China’s retail investors compared to other commodity items. Crude prices are mostly affected by policies and major geopolitical events. Caton: So maybe China’s hoping that with having their own futures in dealing with crude oil they’ll be able to better predict prices for one of their largest commodities for consumption there. Russian President Vladimir Putin said that foreign ambassadors have a crucial role to play in chaotic times at a welcoming ceremony for new envoys to Moscow. During his speech he said that the situation in the world is becoming more chaotic. Never the less we still hope that common sense will prevail and international relations will enter a constructive course and the entire world system will become more stable and predictable. Caton: definitely some very strong words coming from the Russian Ambassador to Nikki Haley, Ambassador Haley. And he’s definitely taking a stance on what he perceives the United States is doing to the world right now. Jeff: Right. It’s kind of unsettling coming from two of the world’s biggest super powers. And now they’re going back and forth. Caton: That’s right. Russia is working to de-escalate the possibility of an airstrike by the U.S. in Syria after what the U.S. said was another chemical attack on the people of Syria called for by President Bashar al Assad. President Trump did make the statement that a possible airstrike may be launched in retaliation for the attacks but in a recent Tweet, the U.S. President said that he didn’t say when it might be launched. Although Russian is working to intervene there are no plans for the President Putin to talk directly to President Trump. Jeff: David Martin, a CBS news national security correspondent said in a recent interview with CBS News, regarding the pending strike against the Assad regime. He said that there needs to be convincing evidence for a strike to be launched but not necessarily a “smoking gun.” Currently there is no evidence linking Assad to chemical weapons not now or in the past. In fact in the last strike all there was, was convincing circumstantial evidence. So still nothing concrete about even the last attack and now they’re ready to do a missile launch for this current attack. Caton: But still not having anything concrete. The French President says that he has proof linking Assad to the use of chemical weapons. Martin said that although the U.S. and France are working together and sharing intelligence one country may look at circumstantial evidence as proof while another country may say that’s definitely circumstantial, but it’s not a smoking gun. Jeff: Russia has come to a completely different conclusion on the most recent attack in Syria. Russian Ambassador to the European Union, Vladimir Chizhov spoke with Euro News Bureau out of Brussels. The Ambassador responded to the suggestion that Russia is not shocked as the rest of the world is by the recent chemical weapons attack on Douma, which is in Eastern Ghouta near Damascus. Jeff: As a result of those visits he said there were no corpses found and not even one person came to the hospital for treatment after the attack. He insisted there was no chemical attack in Douma, just another quote, “…staged event…”unquote, with specially trained people to make it look as though it was real. He said like some of the staged events by the White Helmets. It’s amazing you can have such a different take on the same event. Jeff: However Defense Secretary, James Mattis, isn’t saying Assad’s government is behind the chemical attack just yet. He claims the U.S. and its allies are still looking at intelligence. But regardless of any ongoing investigations it seems the White House and everyone else who has a say, is pointing the finger at the Syrian leader. Caton: England’s Prime Minister, Theresa May, told reporters, “The use of chemical weapons cannot go unchallenged.” They and their neighbor France agree they need to take action. Caton: Interesting. One of the factors that I don’t think both parties or at least one of the parties are not considering is the fact the people are the ones suffering as a result of this. And what we’re seeing a lot is it seems as though are leaders are quick to act before they investigate. Kind of guilty until proven innocent. Let’s go based off circumstantial evidence instead of having concrete proof that this was actually committed by the leader of Syria. Jeff: Right and Russia seems to be fairly cool headed regarding the whole situation. They’re saying, ‘Look, no chemical attack too place.’ And just like the last chemical attack, if you’re saying that it did take place, why don’t you send an independent team in there to investigate and get the proof. But once again the U.S. says, ‘No. We’re going to go ahead and attack.’ I guess whatever proof is going to be wiped out at that point, which they weren’t finding any to begin with. Caton: Yeah, that is interesting that this series of events taking place in Syria. You’ve got both the United States, Russia and of course allies of the United States in that area, you know Syria’s kind of the tipping point for what many are saying is an impending war between the United States and its allies and Russia. Jeff: Even as President Trump just mentioned Iran in there. You know Iran is still a key player in this whole ‘battle’ so-to-speak as well. Caton: Interestingly enough Yisrayl Hawkins did write about some of these things that are shown in Bible Prophecies in the books, The Mark of the Beast, he has two volumes, volume 1 and volume 2 which would be of great benefit for anybody who is interested in learning how these current events are tying into Bible Prophecy.